Function and comfort combine on a traditional frame. A tufted back cushion highlights Hudson's traditional frame, while the uniquely shaped padded armrest provide distinct character and a modern flair. 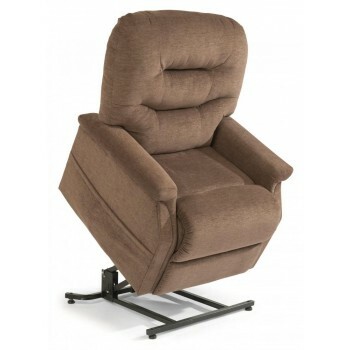 With a plush seat cushion and a fully padded footrest this lift recliner provides tremendous comfort for when you're watching TV or reading a book. Hudson's medium scale and easy-to-use hand control make it an ideal piece for your home.